MYRTLE REID (3 Sep 1901 – 22 Mar 1994) was born in Clinton, Davis County, Utah the second child and daughter of Charles Morgan Reid and Esther Weir Stedman. Being the first surviving daughter, Myrtle was a great strength to her mother and father helping them to endure the tragic loss of her younger brothers Charles and Mark, and in helping to tend to young George, Zilpha, and Lenora along with her other duties around the house and farm. 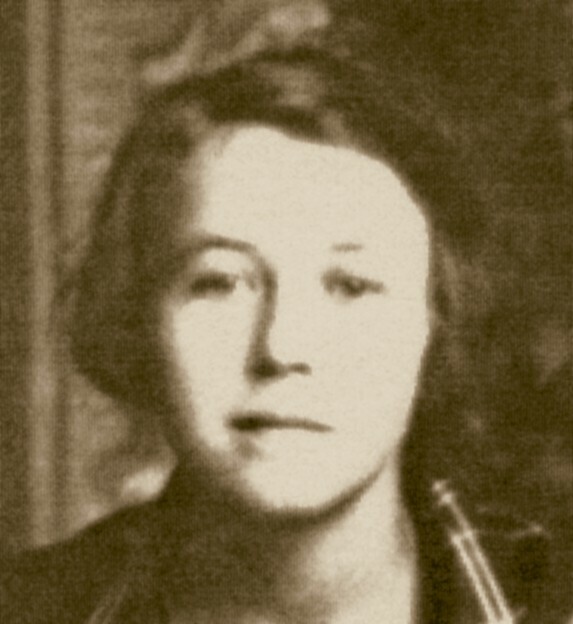 Intelligent and ambitious, Myrtle had a love for education and music. She took piano lessons while she was young, and then as a young woman attended the LDS School of Music and LDS Business School in Salt Lake City. 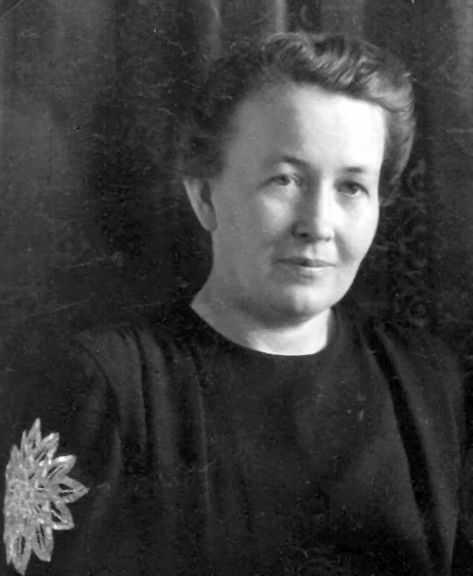 Myrtle Reid was born on 3 Sep 1901, in Clinton, Davis, Utah, to Charles Morgan Reid and Esther Stedman. Myrtle was a beautiful young woman. Her son, LeRoy Junior Davis (who went by Junior his entire life), said that she was courted by many men. Fortunately for us, she married Franklin LeRoy Davis, who went by Roy Davis. Below are excerpts from the life sketch by Roy in his own words. “I met the wife, Myrtle Reid, four years younger than I at sweet sixteen. Our four year romance began. My brother by now an engineering surveyor through some connection was asked to extend the boundaries by survey of North Davis County farther west into the Great Salt Lake. He accepted the assignment and his two chainmen were Mr. Maurice Roche and I. A brother Charles Reid, who was at this time a bit concerned about the boundaries of his farm in Clinton, North Davis, Utah, picked us up at the old Arsenal Bamberger Electric depot with the idea of us checking his boundaries and taking us to a place to room and board for at least a week while we did the survey. After we did some checking of the property he was unable to get anyone to take us even for a day because of the flu scare. He had no recourse except to keep us at his place. 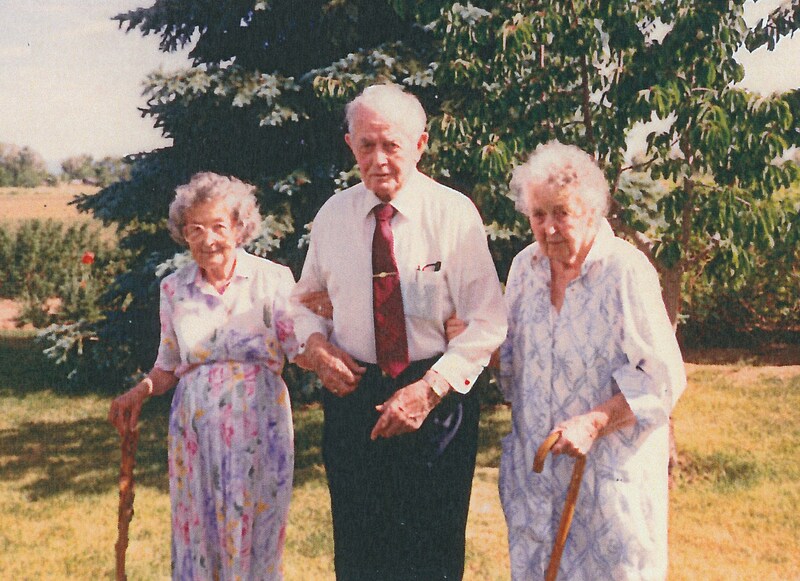 The Reid family consisted of the wife, Myrtle, her mother, Esther, sisters, Beth and Lenora, and a brother, George. A grandmother Reid lived also in another part of the house. This was a very fine humble and prayerful family. We joined them on our knees before breakfast and dinner every day for a week, after which the father found us another place because it became too far to commute to work. We now had pushed the survey too far south. In the short acquaintance with the wife we managed to be alone together several times and I learned how she got her start, and several of her likes and a few dislikes and what some of her aspirations were – we had some which we thought were common such as school. The wife was sent by her folks to the LDS high school mainly because of her talent for music and better schooling. She studied piano under Tracy Y. Cannon and stayed with a Christensen family, a lovely LDS home with beautiful people all over the place. The five years at the university one being short due to the war were filled with very fine associations in church and school, pleasant entertainment including grand opera at $4.00 per seat which the wife immediately exposed me to. The first opera we attended was our first main date and I was asked by a gentleman if I and my sister would move over one seat and leave room for him. We had the usual social fraternity life including scientific Phi Alpha Epsilon, a local, and Theta Tau respectively. I pursued an engineering course majoring in Civil Engineering for four years plus at the U of U. At its end in 1922 I was quite disappointed when I found out that I had insufficient credit hours in chemistry to get a degree. Well it was too late now to pick up 10 hours of chemistry. On September 27, 1922, the wife and I were married in the Salt Lake Temple by Apostle John A. Widtsoe. My wife, now quite an accomplished pianist or at least I thought she was, besides church, she played the piano for a silent movie house at Grace, Idaho while an old former acquaintance of hers played the violin. My wife had a little bit of her father’s get up and go, and always made some money on the side, such as teaching piano, and/or with the young family steered them while she ran the Clinton ten acre farm. She was the banker who held the common deposit box, a rare copper pot, which was never empty and sometimes very full especially at harvest time. It seemed that the wife just must have a little money that she alone could put her hands on, the amount and spending of which was not always divulged. I think the children knew more about this than father. After experiencing a few hardships and some hard work in the beautiful country of Ketchum or Sun Valley and Stanley, Idaho, late in 1927 extensive highway work began in Zion National Park. I was sent there with others to make extensive surveys and follow up with construction engineering. The work in this area and in Bryce National Park lasted about nine years ending with the assignment as resident engineer on the work of concrete lining the mile long highway tunnel in Zion Park in 1936. 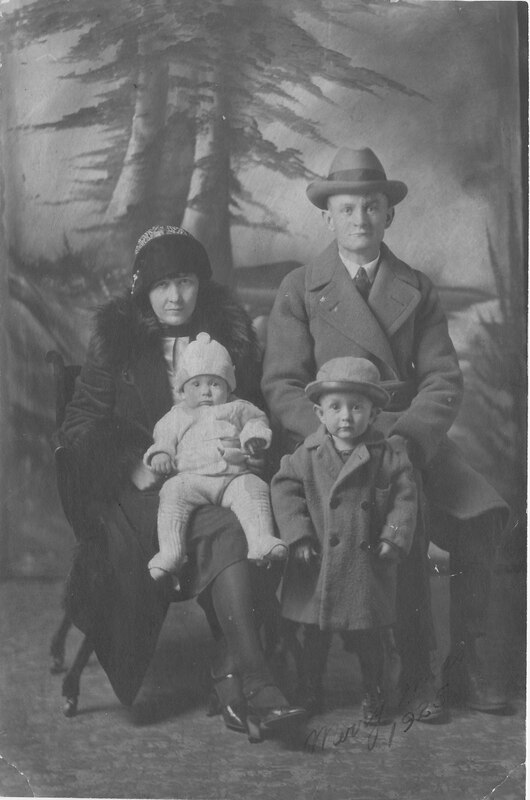 Myrtle and LeRoy Davis with their sons Reid (l) and Junior (r). Myrtle’s son, Junior, recounted many stories from their experiences while in Zion. Myrtle was very talented in entertainment and encouraged her children to gain experiences and talents in music and entertainment. Junior loved to show off his ability to tap dance to his grandchildren, Karalee and Rebecca Davis (children of Junior’s son, Robin Davis). Karalee and Rebecca had learned to clog when in Utah and when they came to visit Junior in California, they would compare clogging dance steps with tap dancing steps. Myrtle died on 22 Mar 1994, in Portland, Oregon. She was buried in the Clinton, Davis, Utah Cemetery. This is my Great Grandmother! I am the Granddaughter of her daughter Lenora Joanne Davis! Thank you for visiting. We hope you will share the site with others.